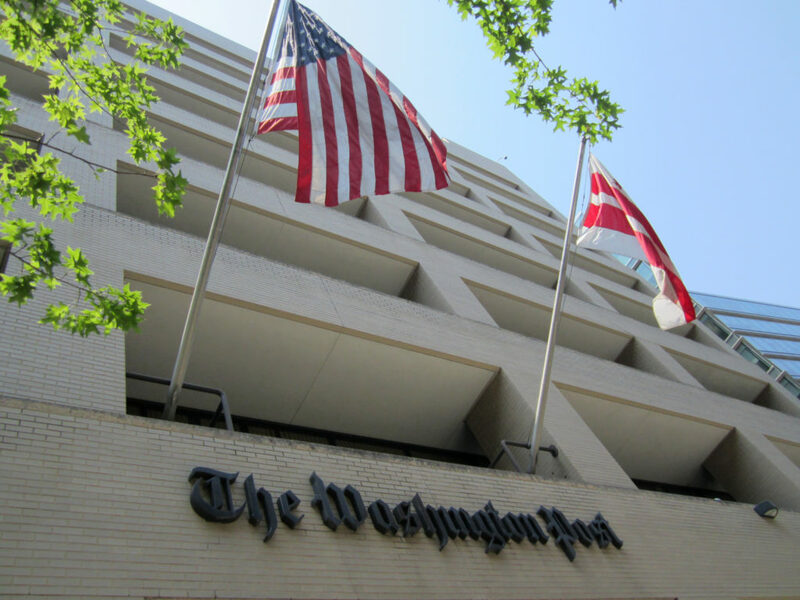 We are very pleased to announce that The Monkey Cage is going to become part of the Washington Post. After 5+ years of writing and growing as an independent blog, we think that the Post offers a tremendous opportunity both to increase and broaden our audience and to improve our content. We think that it will be a great place to continue the blog’s mission of publicizing political science research and providing informed commentary on politics and current events. We are grateful to everyone at the Post who helped make this possible—especially Marty Baron, the Post’s editor, Stuart Farrell at the Washington Post Company, and Ezra Klein. We also thank Emilio Garcia-Ruiz, Melissa Bell, and the others with the Post’s digital team who have already been working on bringing us on board and who will be helping us as we make the transition. We will have more to say about what this move will mean for us and for our readers. But I wanted to share this good news now. Thanks to everyone who has read, commented on, tweeted, and shared our content for these past 5 years. We would not have this opportunity except for you. Why are Chemical Weapons a Red Line? I echo this sentiment entirely. Ditto, this is great news. I hope Wapo’s editorial control doesn’t degrade the quality of the blog. Agreed. You guys do great work. That’s not a nice thing to say. On the plus side, most of our commenters here are civil and thoughtful, even (maybe especially) when they disagree with us on matters of substance. Does this mean monkey cage is going to be pay-walled? Actually, we negotiated a one year exemption from the paywall. So for first 12 months, not at all. After that, will continue to be open to anyone with .edu, .mil, and .gov accounts. People with .edu, .mil and .gov accounts are pretty much everybody who counts anyway, so this shouldn’t affect the mission of publicizing political science research in any meaningful way. RobC: Washington Post articles that are accessed via social media links — Twitter, Facebook, etc. — also do not count against the monthly allotment. The paywall is intentionally leaky in this regard. I realize that the exceptions that Josh and I have noted will not help every one of our current readers (including, apparently, fitzgerald in this thread). This was one of the trade-offs we faced: the opportunity to expand our readership fairly dramatically versus the likelihood that some current readers would not transition with us to the Post or want to pay for any content at the Post. Hey, that’s really awesome for those of us outside the US! What about scholars from other countries without .edu email addresses? This is great news for those who use the blog to share research interests. I am concerned for some of the content like the recent discussion on conferences that has a strong appeal to the discipline but no general appeal. Is there going to be a home for discipline related material? Or will we still be able to get that kind of information here. John: This is a good question. I think that the blog will continue to talk about content related to the discipline (a) when it has broader public policy implications (like NSF funding) or (b) when it speaks to broader academic debates, like the sort of stuff that would be covered in the “ideas” section of a newspaper. But something like the recent discussion on the APSA conference is probably less well-suited to the Post. This is another of the trade-offs we faced in moving to the Post (see also what I said upthread): the chance to reach a broader audience versus the knowledge that a fraction of our content (a fairly small fraction, though) isn’t really interesting to that audience and may therefore get less emphasis once we move. Trade-offs and all, I like this move. It’s a great opportunity for political science, earned largely by the hard work of you all at The Monkey Cage. Thanks, congrats, and good luck. Terrific news! Not only great for Monkey Cage, but also a promising sign of the kind of organization the Post hopes to be under its new ownership. Congrats to all. I read the news and immediately experienced a sense of loss, As a decades long WP reader, it’s impossible not to note the paper’s habit of consistently disappointing whether at the most mundane and mechanical level to the more substantive, Best of luck but I can’t shake the feeling that Monkey Cage’s last day as an independent blog will also be it’s high water mark. Tom: Our contract with the Post is for 3 years. At that point, both parties will have a chance to reevaluate. If either one of us does not think it’s working, then we could end up as an independent blog again. But I’ll say that the Post has an interest (financial and otherwise) in our success, and is working to help us. Moreover, whether we disappoint depends far less on what the Post does and far more on whether we do a good job. I’d like to think that the quality of the blog will only improve. This means that TMC will be accountable to the owners of the WP (Jeff Bezos) and advertisers. That seems incompatible with the goals of academic research and academics in general. Is it not? Todd: I don’t know what you mean by “accountable.” At this point, Bezos has expressed a commitment to leave the leadership of the Post in place and has also shown some commitment to journalism (see: Business Insider). While he may ultimately change some things at the Post, I have no idea what his opinions are about blogs, political science, newspapers, etc. So I have no idea how we would even go about making our content suitable to him. The same thing goes for advertisers. Moreover, in our meetings with the Post, the leadership — including the editor — made clear that they wanted us to do what we are already doing. I think our challenge is making our content interesting and comprehensible to Post readers, who are a less specialized group than the existing readers of this blog. I’m not thinking at all about what advertisers “want” — if they even care what a polisci blog says! Good luck tangling with Charles Lane! My only concern is with the comments. Moving to the WP means that one of two things could happen: a) you rigorously edit the comments to only include the sensible stuff and tick all the readers and trolls off or b) you let anyone comment and the content that is really interesting gets submerged by the aforesaid readers and trolls. If you want an example of what I mean, look at the comments at Krugman’s blog. He’s given up trying to do anything like the answers John has posted here. I’ve learned a lot by reading this thing and the links to scholarly work have been quite useful (especially, since he was singled out earlier, Gelman’s). I fear that the relentless pressure to generate traffic will deprive me of a very useful source. For Christ’s sake, guys, don’t let that happen. I like this blog, but there is no way in hell I would pay to read in on the WP. There are plenty of other political science blogs that are informative and FREE! I don’t mind the adds on some blogs, but paying for something and have a blog owned by a large corporation that will put pressure on you to change your content is unacceptable to me. Good riddance TMC! Greg K: Well, fortunately, as I said upthread, there are a variety of ways by which you will be able to access Monkey Cage content without having to pay (and we won’t even be behind the paywall for another year). And the blog is not “owned” by a large corporation. We have a three-year contract to provide content to a newspaper that is, as of now, owned by a single individual, Jeff Bezos. And no one at that newspaper — and certainly not Bezos himself — is putting any pressure on us to change anything (again, as I said upthread). I hope you’ll keep reading. I think this is wonderful news for John, Henry, Josh, Erik, and others. But I also predict, along with Tom, Todd, and Tracy that this is the end of the MC as a blog promoting public interest in political science research, and that’s too bad. John Carey capture my sentiments exactly. I’m pleased to see empirically savvy scholars have success as media commentators. It should improve the quality of the political dialogue. 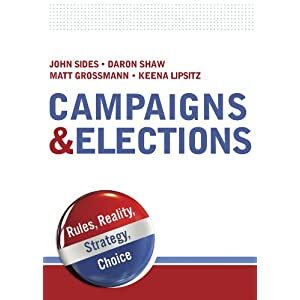 Political science and political scientists are no longer a primary audience, however, and the interests of the readers, advertisers, editors, and publisher will be paramount–as they should be. Congrats along with the regrets, and I do mean genuine congrats. Paul: I’m genuinely confused. If at the Post we have the ability to reach a much larger audience outside of political science, how is this “the end” of our “promoting public interest in political science research”? The whole reason we made this decision was because we could perhaps interest a larger public in political science! It is terrific news; and it will probably just generate a much larger audience while retaining roughly the same content. Great News! Any opportunity for introducing quality political science research to a broader audience should be applauded. Thanks for all of your great work! argh … add you to Plum Line, and my days of dodging their paywall by rotating among devices are coming to an end. oops … see that you’re exempt for a year. Anyway, acquiring you signals a commitment to broadening content in a smart, imaginative, productive way, so I’ll probably step up and start paying — the best of the web deserves material support. Congrats! I’m curious if the move will affect MC’s relationship with academic publishers and the promotion of recently published research with ungated links to papers. I hope not. Matt: I certainly hope not too. We will continue to promote academic research, as we’ve done from the blog’s founding. My sense is that publishers are increasingly interested in ungating content — at least for a period of time — and our move to the Post is likely to increase the number of people seeking out that content. Which, to my mind at least, validates what the publishers are hoping to accomplish. It seems positive-sum to me. Any chance that the comment section of your WaPo blog will be moderated ? I ask because I have almost always found comments threads here at the Monkey Cage to be illuminating, while I have learned to avoid threads at WaPo (including on Wonkblog, which might be the closest analog) like the plague. Abe: A very good question. We knew that the changes in the comments thread were a downside of the move. I will need to investigate the Post’s policy re: moderation and see what possibilities there are for limiting the, um, plague. I would say that I’m not overly hopeful, but I definitely agree with you that a moderated thread would be better. 1. John indicates that MC articles linked on Twitter or Facebook are not counted against the paywall. I presume that MC will tweet links to all MC articles as they are posted, so subscribing to the MC Twitter feed should provide a fairly pain-free mechanism for accessing the articles. 2. Alternatively, since those with .edu, .gov and .mil addresses will be able to access the site, those without one of those addresses could seek to obtain one. Many colleges and universities offer free alumni.edu permanent email addresses; that seems to be an easy way to beat the future MC firewall. 3. More generally, it’s blissfully easy to access the full content of the NYT and WP sites without paying for a subscription. Information wants to be free! There are Twitter firehoses, but those are something of a nuisance. A much easier method exists, and I’m happy to provide it to anyone who’s interested. Free to all with .com or .org accounts; for those with .edu, .mil and .gov accounts, there will be a charge. RobC: Re: #1. Yes, we will put links to all our content on both Twitter and Facebook. You can automate the process so it goes directly from the RSS feed to those sites, which is what we do now. The Post will also provide resources to help us make our content more attractive and engaging — via photos, graphics, guidance on headlines and style, copy-editing, and the like. This will not dumb the content down, but simply allow the blog to generate more interest among an audience that is less specialized than our current audience. I completely agree about the empirical test implied by #1. We think of this move as an experiment in that sense. I think the examples of 538 and Wonkblog suggest that there is potential for appeal. And, to be sure, the intended audience is not the “general public” but the highly non-random set of people who are Washington Post readers and subscribers — and, therefore, more likely to find academic content interesting. Reaching that audience (“catering to,” if you prefer) is more a matter of being topical and interesting — something we already strive to do but could do better. The upshot — as I also said upthread — is that the move to the Post is not a prelude to our changing our stripes wholesale. That is explicitly *not* what the Post wants us to do. “Keep on doing what you are doing” came directly out of the mouth of the editor himself. We believe in what we have been doing — indeed, I’m not sure we’d be good at doing anything else — and that’s what we aim to do. To wit, the posts today by Erica and Erik on military interventions and chemical weapons are exactly the sort of content we’d provide at the Post. I find this blog very good, so much so I recommend it to my students. But after this move you make it irrelevant to most of the world. Students in Germany are not going to pay for a Washington Post account. Believe it or not, there are European policy makers who check your blog. You are ending their access too. So sure, maybe you get more publicity inside the beltway, but people based outside the US will no longer read it. That hurts knowledge dissemination. This is truly a sad day. Mark: Did you read upthread? There will be lots of ways to access content that will not trigger the paywall. You can read 20 articles per month before the paywall kicks in, for starters. Links that you click via Twitter and Facebook don’t count as well. I’m not suggesting that the paywall will never be an issue for every one of our current readers, but it might not be as grim (“sad day”) as you suggest. Well, if you read the general level of comments on the Wapo website (no! your the rasist! Your a fashist”….) the comments section will now become useless, unlike the NYT which is moderated.